The Sleep Gallery team are all citizens of Tallahassee, Florida and we believe that caring is contagious. A community is made up by a large variety of people and companies that all perform actions in different ways that equal the total sum. We are proud to live and work in beautiful Leon county, Florida and are avid fans of the Florida State Seminoles. We think we have the best place to call home and consider every person that walks through our doors both friends and neighbors. We understand how valuable you are to us and we understand how valuable our community is to everyone else, too. We are just one small part, yet we are an important part in completing our community. We know that one action leads to three, and three actions compound into many. We want our actions to always be positive and effective in caring for you and the Tallahassee, Florida area, as a whole. Tallahassee is the state's capital and the only incorporated municipality in Leon County. It has generations of memories rolling through the streets and communities, and we are making more every hour. 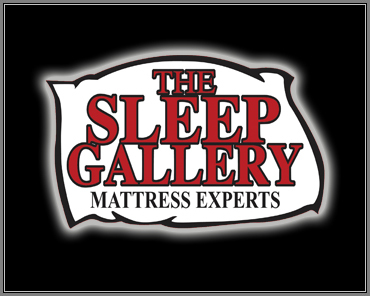 In keeping with the tradition of neighbors caring for neighbors, The Sleep Gallery offers several ways of savings to our local customers, and we are proud supporters of many traditions of Tallahassee, including Florida State University and other local sports and academic activities. We have also been involved in providing new beds to children's shelters and other local charities, which is something we consider as a very worthy thing to get involved with. We believe our community can only truly prosper when our children have a warm bed to sleep in so they can dream big and set their sights on all of those endless possibilities waiting on them to discover. And we have provided funds, sleep products, and given our time to several other local causes that we are honored to have been able to do. It's our community and we do care for it with pride. If you have a community-driven project that you think we could help with, please contact us. We will do our best to evaluate it and get involved if we can. We would be happy to provide some local names and projects we have cared for upon request, so please do stop by and visit with us anytime.